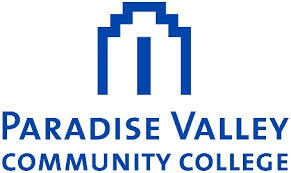 Paradise Valley Community College is one of ten colleges, two skill centers, and multiple satellite locations, which comprise the Maricopa County Community College District located throughout metropolitan Phoenix, Arizona.The District was established in 1962, with a single college and has since grown to serve over 270,000 students in credit and non-credit programs making it the largest provider of post-secondary education in the state of Arizona. Today, the district's colleges and centers offer comprehensive educational programs in professional, occupational, special interest, and continuing education curricula to serve the needs of the rapidly growing county area.PVCC provides on-campus services for all veterans and veterans' dependents. Our Veterans Services Office provides forms and assistance to apply and maintain compliance for Veterans Administration educational benefits. It also provides advising, tutorial services, and is a liaison with the Veterans Administration. 18401 N. 32nd Street .